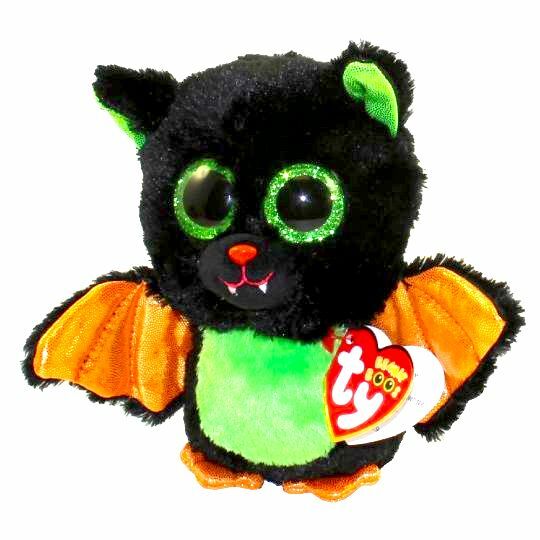 Beastie is a fuzzy black bat with large, green, glittery button eyes and a bright pink button nose with a pink embroidered mouth and two tiny white fangs. his belly is bright green and his wings and feet are shiny orange. The inside of his ears are made from shiny green material. You’ll find me sleeping in a tree. Beastie was released in August 2017. His Birthday is on 29th September.